Tis time to say good bye. But, don't say goodbye. Say see you again because we will! 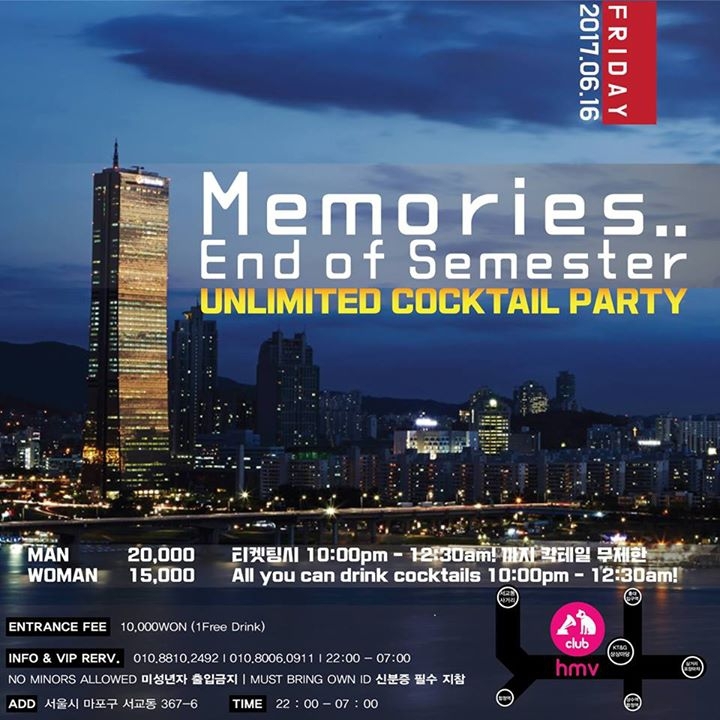 Inviting all international / exchange students to the biggest club in Hongdae (just like we welcomed you in the beginning of the semester) with 'Unlimited' cocktails for 150 minutes (10:00pm-12:30am)! Price? You know what we do.